(edited and re-published) This Ginger Pork Cutlet really hits the spot when I’m craving for something salty and fragrant to go with rice. Cooking cutlets is for me a little more involved. There’s the trimming of fat, the thinning of the meat to cutlet-thickness, and the pan-frying followed by sauce-making. But is it worth it? YES. Enjoy! 2. 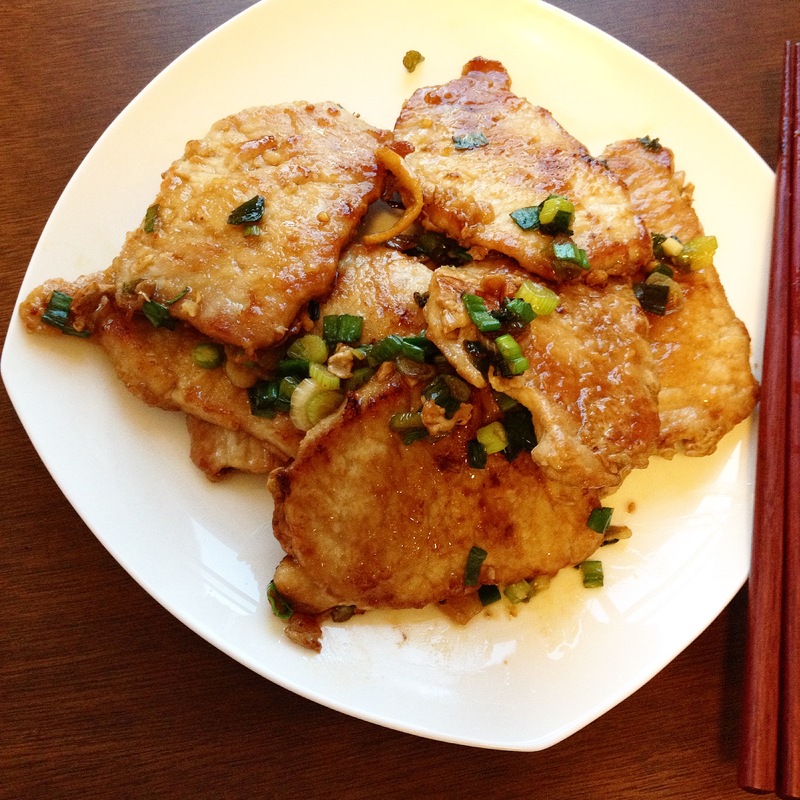 Marinate pork cutlets lightly with salt, and then a thin layer of cornflour, for at least 15 minutes. 3. Heat oil in frying pain on medium heat. 4. Pan fry pork cutlets. 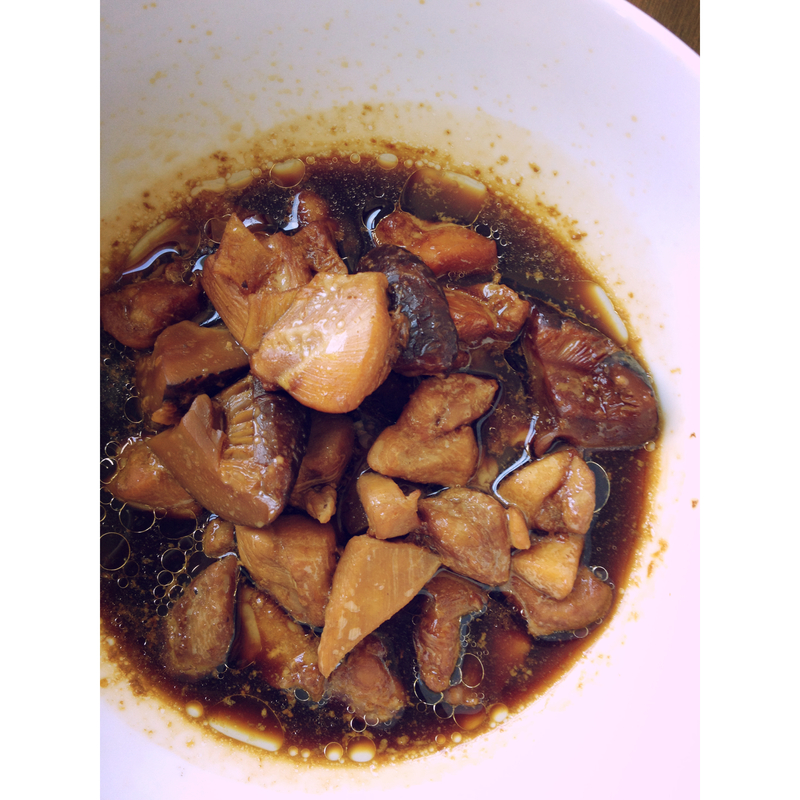 When nicely browned on one side, flip, and add soy sauce mixture including ginger slices over cutlets, caramelizing the meat. 5. When other side is brown, flip cutlets back to cook away any juices that may have oozed from the meat. Pork needs to be cooked thoroughly before consumption. 6. 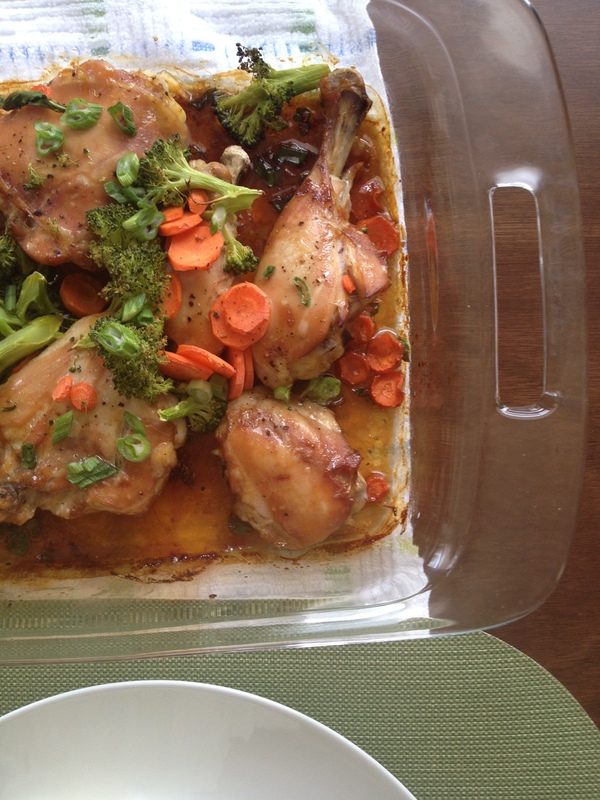 Serve with white rice, or a light salad with sesame dressing. 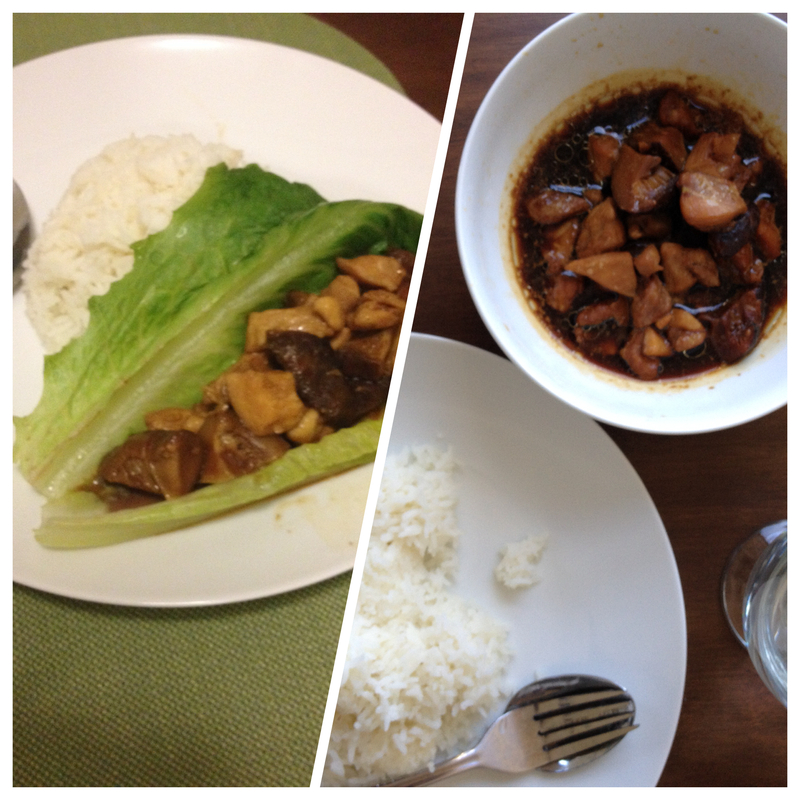 In Cantonese cuisine, soup is very important. When I was growing up in Hong Kong and Singapore, my family would enjoy hot soup at the start of dinner, emptying our bowls before heaping freshly boiled white rice into it for the main meal. My favourites at home were my mom’s fish and tomato soup, and pork and lotus root soup; out at restaurants, double-boiled pig’s lung soup (yep, you read correctly). To Western palates, Cantonese soup may resemble more of a meaty broth or consomme. And while I love soups like potato and leek, and New England clam chowder, nothing compares to homemade Chinese-style soups in their simplicity, healthiness, and subtlety in taste. 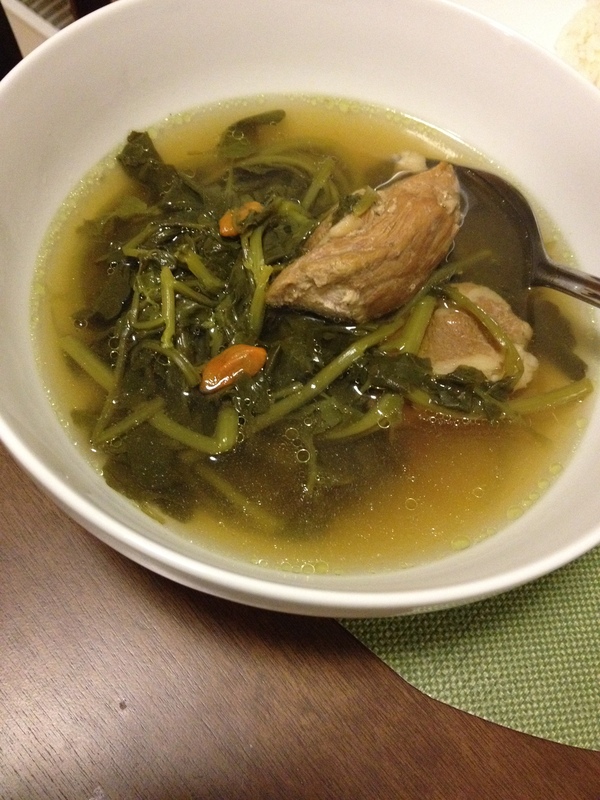 W and I often eat this Pork and Watercress Soup when we are lazy or feeling a little under the weather. It keeps well – just make sure you sterilize it by bringing to a full boil before eating and before storing in a covered pot. 1. Add pork, watercress, red dates, wolf/goji berries, water, and a dash or two of salt to large pot. Bring to boil. 2. When mixture has come to full boil, lower heat so that soup is just simmering. 3. Simmer soup for at least 1.5 hours. Before serving, check taste and add more salt if necessary. Use ladle to skim off any excess oil or scum that might have rendered from pork. Despite my love of savoury foods, I am equally quite appreciative of ‘blander’ foods so I like this soup for its subtle sweetness. The pork in this soup is also great dipped in light soy sauce if you want more saltiness in your meal. 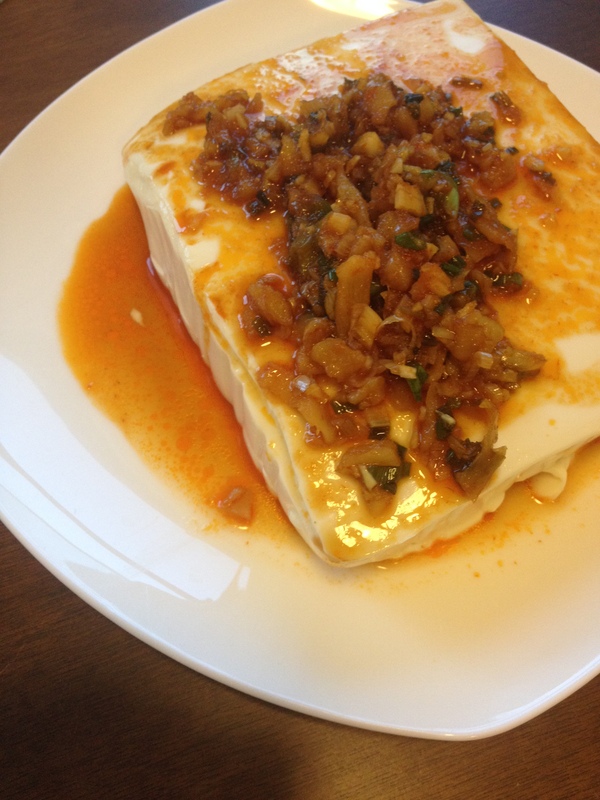 I recently discovered ChiChi Wang’s recipes through Serious Eats and decided to create a version of her wonderful Silken Tofu with Chilli Oil. The combination of salty and tangy preserved vegetable with the silky, almost sweet nuttiness of tofu works incredibly well. I love pickled vegetables, especially zhacai (Chinese pickled mustard tubers)! 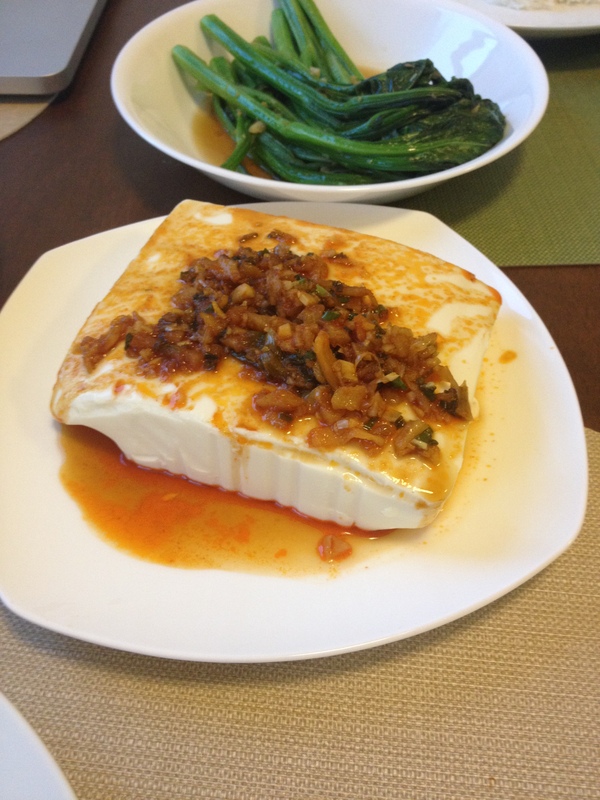 – The original recipe presents the tofu in slabs; I’ve kept it in a block because I think part of the fun is cutting into the tofu when eating. – Instead of sprinkling the preserved vegetables and spring onion at the very end as garnish, I cooked them in a combination of sesame oil, light soy sauce, and chilli sauce because I wanted the dish to be warm. A matter of personal preference, really. – Perhaps the original dish tastes ‘fresher’ especially with its addition of cilantro but I didn’t add cilantro (didn’t have any / felt that the tofu was equally fine without). This dish was a great part to our vegetarian meal on Sunday – eaten alongside stir-fried garlicky Chinese greens and a preserved egg omelette!